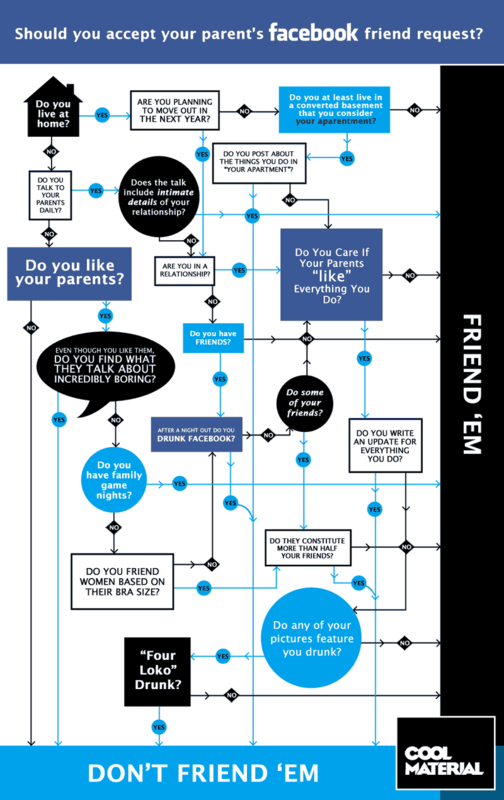 We spent some time last night figuring out when you should go ahead and friend your parents on Facebook, but did you? And what about your brother, your sister, your aunt, your in-laws... where do you draw the line? This coming from someone who has more Facebook interactions with his future father-in-law than with anyone in his immediate family. Which reminds me: please keep it clean on my wall.